The YMCA of Orrville strives for excellence in their Orrville YMCA Child Care program. These YMCA children join a program that is their “home away from home” that emphasizes love and learning. They offer care and learning experiences for your school-age children. One of the ways to keep your Y kids active is through their fitness programs that provide you with the foundation on which to build healthy lifestyle changes. At the Orrville YMCA you learn to create a healthier spirit and mind as well as a healthier body by participating in these programs. One of their newest additions to their fitness program is the CardioWall interactive fitness product. 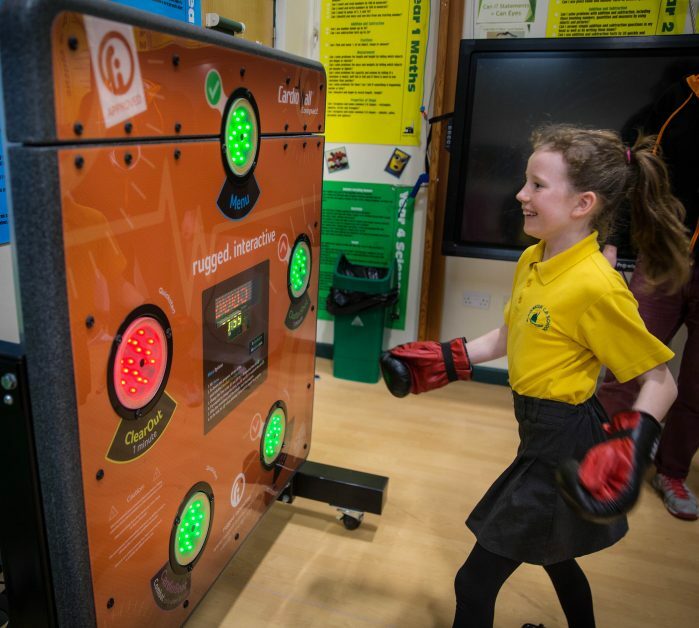 With the CardioWall you can use your hands, gloves, balls and more; to stimulate a huge range of functional exercises and motor skills. Ideal for individual use and group activities, where the built-in timer keeps everything on track and the intensity high. At the Orville YMCA this creates a socially engaging piece for individual and group activity sessions. The CardioWall Compact Duo can help build relationships between players and teams as they try to reach a top score. If you would like to know more about how to introduce this motivational interactive fitness gaming piece to your club, contact Exergame Fitness. Every routine is a game, challenging users to beat their best individual score, their friends or the top scores. A great way of introducing friendly competition and goal setting. Put the Fun Into Fitness! We take your privacy seriously and will only use your personal information to contact you in regards to this inquiry. If you agree to allow us to use this information to contact you, select the option below. We'd also like to keep you informed with email about our latest promotions and offers. To stay up to date, confirm below! You can unsubscribe at any time by clicking the link in our emails! Yes, I agree to Exergame Fitness using this information to respond to my inquiry via email. Yes, I agree to Exergame Fitness using this information to respond to my inquiry via phone. Yes, please. I'd like to receive further email offers and promotions from Exergame Fitness.